Today marked the start of my internship and though it was a very informative and engaging first (training) day and I was treated to a splendid buffet, I'm completely dead beat. This is the point when I ignore everyone around me and desperately crave for a bed to lie down on so that I can stare at the ceiling. BUT when I spotted a hot pink box sitting prettily on my desk, I was injected with a small boost of energy that is going to last me till... Let me see... 10.30pm? Haha. I. AM. SO. KNACKERED. This month, it's all about pampering yourself and possibly the most important woman in your life, Mum! Mother's Day has passed but it doesn't mean the love stops there (But, of course!). The first thing I spied was a $20 Elizabeth Arden voucher that can be used to offset a minimum purchase of $100. I haven't got anything from said brand so this is a good excuse for me to pick something up for Mum and I to share! Bellabox is also having an exclusive Spring Spree Event for members this Thursday! I won't be able to make it but Obsessive Compulsive Cosmetics fans, you may want to cancel all evening appointments on that day! Enavose contributed to the box with her prized Cellogist Youth Guard Cream (Read my review here!). I have been using this and I love it so much! I'll be heading to Sydney some time this summer vacay so I'm glad I'll be armed with this 10ml sample! Enavose Cellogist Youth Guard Cream (Innovative), 30ml for $99.50 at Suntec and Tangs Vivocity. Elizabeth Arden is also in the box with 2 of her Ceramide Gold Ultra Restorative Capsules. These capsules are said to house the elixir of youth! The results are intensive and visible to the naked eye! Say hello to baby skin? Elizabeth Arden Ceramide Gold Ultra Restorative Capsules (Luxe), 60 capsules for $134 at Elizabeth Arden Counters. Make having beautiful, soft and glossy locks a reality with the 80ml bottles of Essential's Damage Care Nuance Airy Shampoo and Conditioner! These target and repair damaged and limp hair, restoring lost shine. (: I used the orange Rich Premier Range when I was in China but I didn't quite like it. Perhaps it didn't work with China's winter or maybe my hair likes the pink Nuance Airy range better... At least, I get to find it out soon! Essential Damage Care Naunce Airy Shampoo and Conditioner (Find), 200ml for $4.50 and 500ml for $9.50. 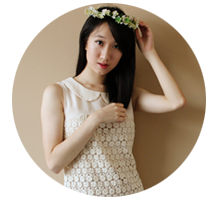 To add more lust to your hair, apply a little of Macadamia's Natural Oil. This is supposed to give you hair that's gonna make others drool and dream. Think: Ultra-smooth, nourished, rejuvenated, manageable and shiny! I have been using argan oil on my hair and the results have been fab so I'm really eager to know what a mixture of macadamia AND argan oils can do for me! Macadamia Natural Oil (Trend), 30ml for $28 at John Little and SaSa. Last but not least, Sally Hansen is here to prevent your nails from cracking, splitting and chipping with her Hard as Nails. My nails are pretty decent though there are a couple of dents in them. I'm hoping that this will help keep up the health of my nails! This is my 2nd Bellabox. I thought I had signed up for just one box last month and wasn't aware that I had actually subscribed to it (I have some explaining to do when the bill comes. Eeps! Thank goodness for internship's moolah! Which ummm... Hasn't come yet since I just had my first day.). I'm definitely more pleased with this month's box but I have one question. Are the contents for the box gonna vary from one person to the other for every month? I kinda thought the boxes were supposed to be the same but hmm... Oh wells. I guess there will be months when I wish I received some other samples instead of what I got (Like April's. :\). 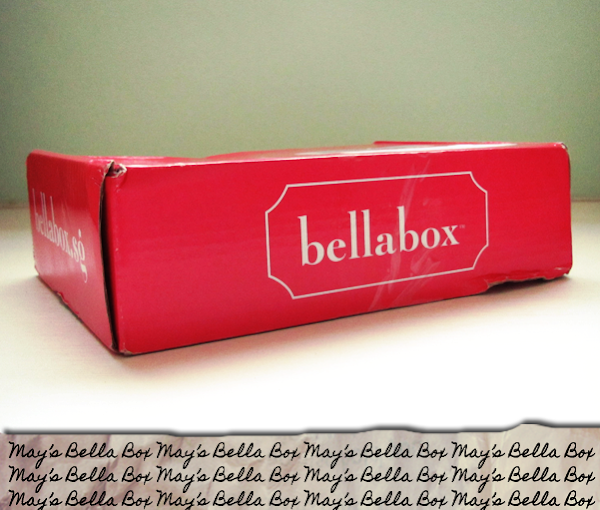 But this is the whole point of Bellabox, isn't it? To get you into brands you don't know or thought you didn't like! P.S. : Oops! I forgot to mention about Bellabox's new packaging. Instead of coming in a box (Photo can be found here! ), the samples are housed in a canvas drawstring pouch... WHICH I LOVE! My current makeup pouch is made rather flat so I can't really keep bulky things in it so THIS is perfect! :D Also, I found the box less practical as the height wasn't very much.